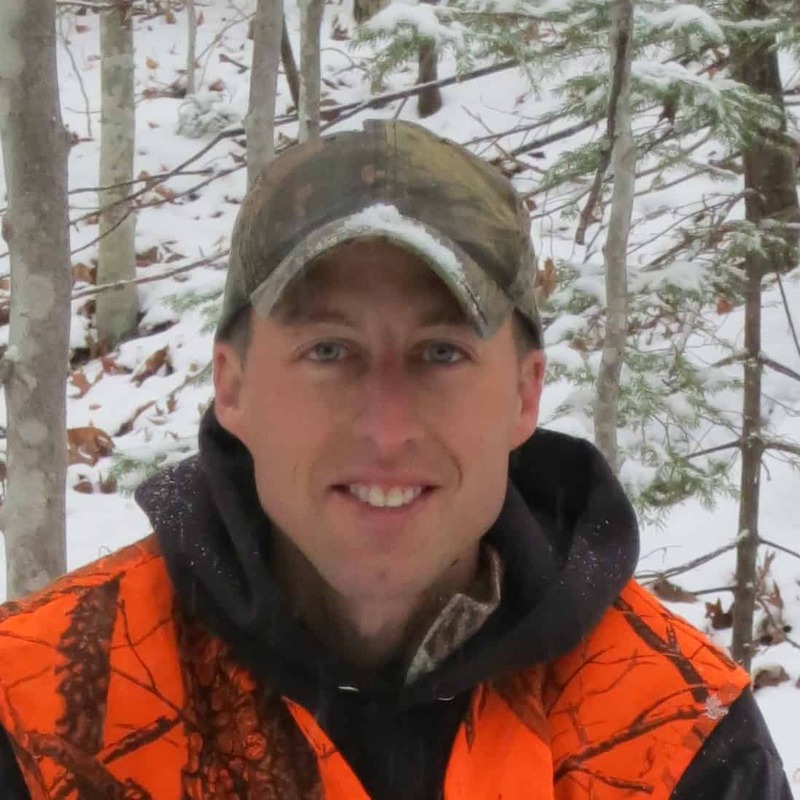 New Hampshire Hunting Season Update #2 - Nothing Yet! 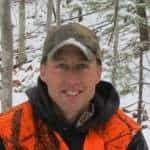 - the4pointer.com | Real Hunts. Unreal Stories. 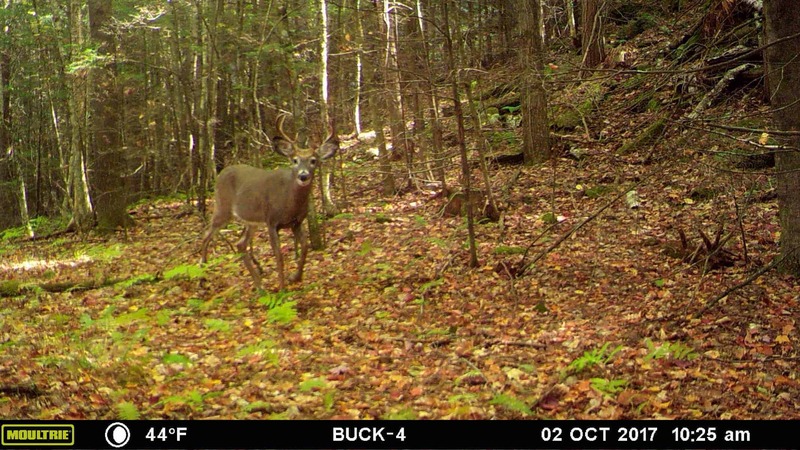 New Hampshire Hunting Season Update #2 – Nothing Yet! A lot has transpired since my last update, some of it even related to hunting. Each summer I enter each fall dreaming of hunting day in and day out until shooting Mr. Big. At this point in the season, I’d settle for being able to sleep long enough to dream. The arrival of Oliver Jacob Biebel late last week has derailed my hunting and sleeping schedule, but I’m not complaining. My initial assessment of Oliver is that he’s not into hunting yet. Just the other night I held him while we watched an episode of Steven Rinella’s Meat Eater together. Despite a riveting breakdown of how to remove and cook antelope testicles in the field, Oliver cared not. My mother in law, who’s not much for hunting, couldn’t take her eyes off the TV, however. “See why this is my favorite show?” I asked her. She kinda nodded and looked a bit queasy. Maybe I’ll cook her up some buck nuts someday. Of course, that would require killing a buck, and so far this year that’s not looking promising. One of the great mysteries around this season has been the revelation that my wife can’t stand the music of Kenny Rogers and the increased amount of daytime buck activity on my cameras over previous years. It’s baffling. I think this is due in part to not having an appreciation for good music. The increase in buck movement might be due to pushing into a new area that I’ve never hung cameras before. The frustrating part is that there appears to be no pattern to the movement from any of the bucks on these cameras. They are random individuals playing games with my ability to interpret deer movement. I have three cameras deployed in locations I refer to as “The Stonewall,” “Hemlock Shelf,” and “The Milk Jug.” A few days ago I sat down and charted the daily movement captured by my cameras during the first ten days in October to see if it would help identify any sort of pattern. The Stonewall camera had fourteen deer, seven of which occurred on the 9th, including this cool sparring action between a few young bucks. The Hemlock Shelf Camera also had fourteen different movements captured, but it was more spread out. The highest total for any given day was three. As could be expected, the night before Oliver was born a tubby looking spikehorn spent 20 minutes wandering around in front of my stand during legal hours. I was planning to go hunting that afternoon, but it didn’t work out, which is probably a good thing for Mr. Spike and me. Most of the movement on this camera has been right at first light in the morning or well after dark, excluding Mr. Spike. The Milk Jug Camera has seen the most activity during legal light compared to the other cameras, but the amount of overall movement has been much lower at exactly half. Here’s what I’m thinking: The Hemlock Ridge location provides the best chance of the three at shooting a deer, but it must be first thing in the morning. Right now, that doesn’t work will Oliver’s sleep (or lack thereof) schedule at night. Adding to the challenge, there is no place to hunt from a tree because of all the hemlocks. It’s a ground hunt only. The Stonewall Camera location is a good place to shoot a wandering buck from a treestand, but he has to be wandering through at the same time I am. That is the difficult part. So far, the schedules of wandering bucks have lined up with mine about as well as Oliver’s sleep schedule and mine – it hasn’t. And there is no hope for the foreseeable future. Ironically, the bucks, Oliver, and I are usually awake at the same time, but it’s not legal to hunt them at 2 AM for some strange reason. I am not sure when I’ll get back to the woods for another hunt, so the bucks can rest easy for now. Roadkill tastes just as good and requires less time away from home. Maybe I should stick to that. The other day there appeared to be a fresh kill between the northbound and southbound lanes of I91 in Hartford, VT. I could have stopped at the rest area and dragged it across the southbound lanes. So simple, but dangerous and probably illegal just like hunting after dark. Think of the venison I could have in my freezer if there weren’t so many laws! I think it’s time for a nap. It’s closing in on the best time of the year! Leaves are dropping and the bucks are starting to cruise! Don’t forget to take a moment to enjoy it.